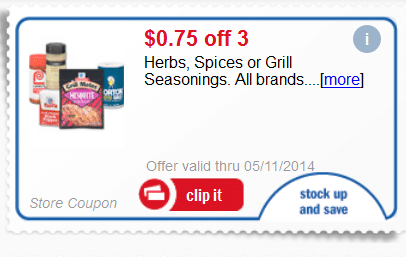 Hurry and print two more copies of this rare $1 off any 2 Kettle Brand potato chips 4 oz. 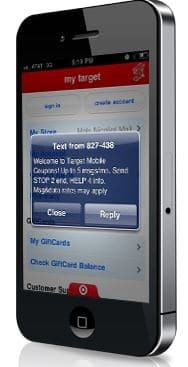 + coupon as it has reset! 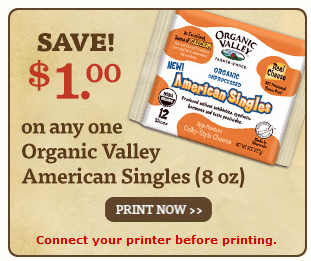 Here’s a new $1 off any Organic Valley American cheese singles, 8 oz. 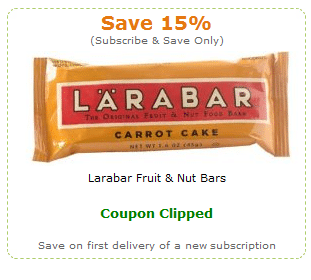 coupon that should make for a great deal when paired with a sale! 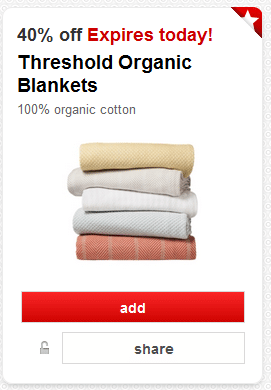 Wow, there’s a new high -value 40% off Threshold organic blankets Target Cartwheel coupon that makes for some huge discounts on organic twin blankets! 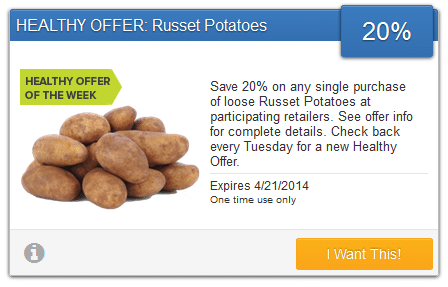 Hurry over there as this coupon expires today! 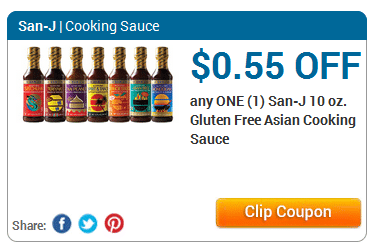 If you are gluten-free but still like to enjoy soy or other Asian sauces, be sure to print this new $.55 off any San-J 10 oz. 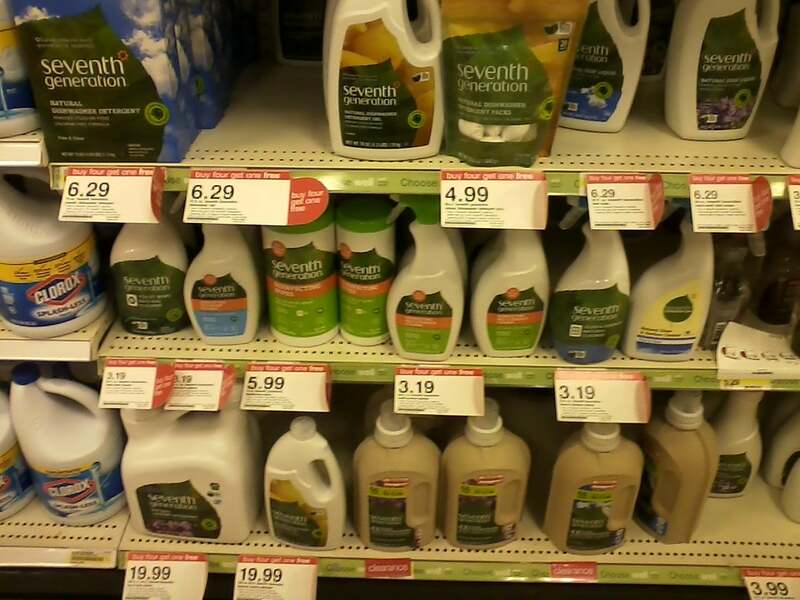 gluten-free Asian cooking sauce coupon!